British tea taster Kevin Gascoyne first bought tea in Asia in 1989 and has spent every Spring there for the last 22 years. Starting as a tea writer for publications in the U.K., U.S.A. and Japan he is still writing and is co-author of the best-selling, international prize-winning book ‘Thé. Histoire Terroir Saveur’ published in English translation in 2010 and recently voted World's Best Tea Book 2014 in Second Edition by the World Tea Awards. This book is used as a training manual by many tea companies and the Canadian Tea Sommelier Program, now translated to Korean for their Tea Sommelier Program, Russian and to Mandarin for the Chinese market later in 2015. Living in Montréal, he is one of 4 taster/owners of Camellia Sinensis, whose catalogue at camellia-sinensis.com has gained international renown. He runs 2 tea schools, a wide selection of workshops, conferences, field consulting, trade development projects and seminars, he has taught tea botany, tea tasting and tea business consulting in various countries. He also works with the Canadian Tea Association. Aside from his obsessive quest for Darjeeling’s finest leaf, he also has a passion for shop keeping in his stores. For 20 years Kevin has been talking about tea in public. Appearing on the CBC, Radio Canada, CKUT and CIBL radio stations and both local and national TV in Canada. Published in English, Japanese, Korean, Swedish and French in N. America, Europe and Asia he has written for many varied publications his favourite being the Art of Eating. 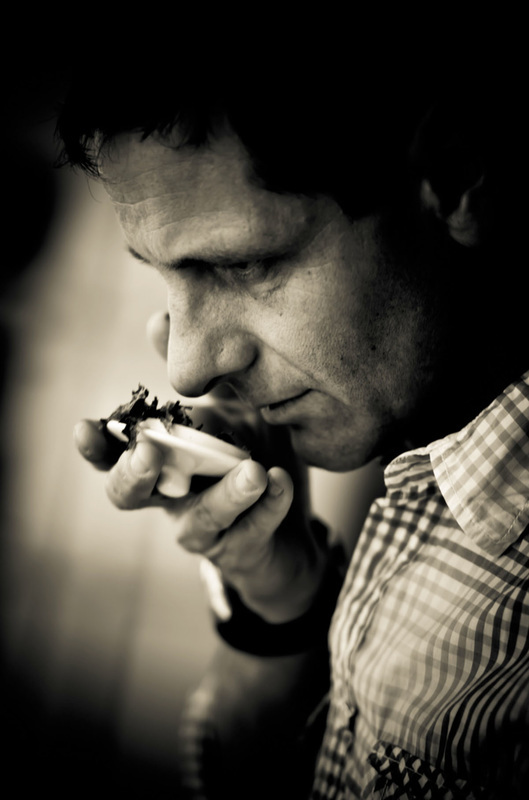 From tea Botany at the University of Guelph to tasting at the University of North Bengal, India he has also lectured at Université de Québec à Montréal, McGill University, Stratford Chef School, UC Davis and trained prospective wine sommeliers at the ITHQ.